Grave Markers are intended to provide a high quality, dignified memorial for a period of up to twelve months prior to the installation of a permanent headstone. 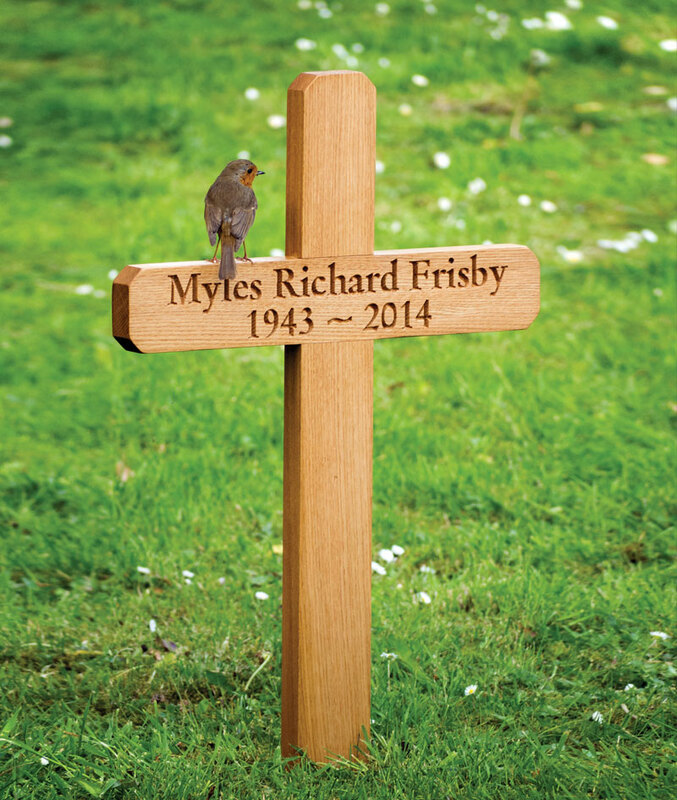 These crosses are substantial and durable and can also be used for longer term purposes if required, such as pet memorials for example. 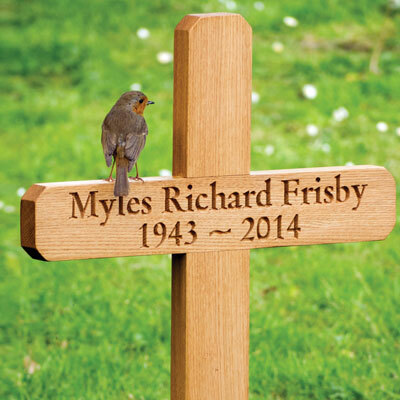 Grave markers are supplied with simple carved inscriptions as standard, up to 20 characters in length. 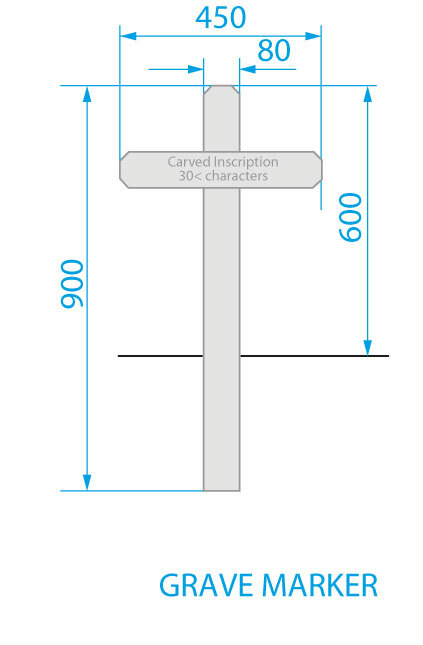 For an additional charge, we are also able to add carved images to the upright section. 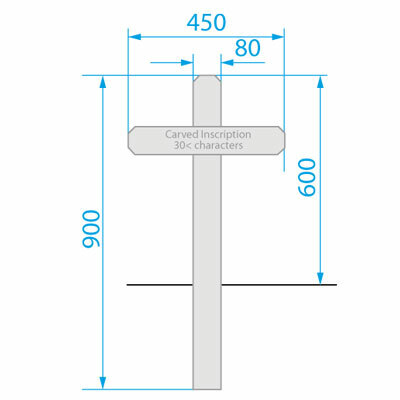 Grave Markers are installed with approximately 300mm below ground to give an installed height of around 600mm. Each cross is supplied with a 250mm long, 12mm diameter steel pin which goes through a pre-drilled hole at the bottom of the cross to prevent it being pulled out of the ground.